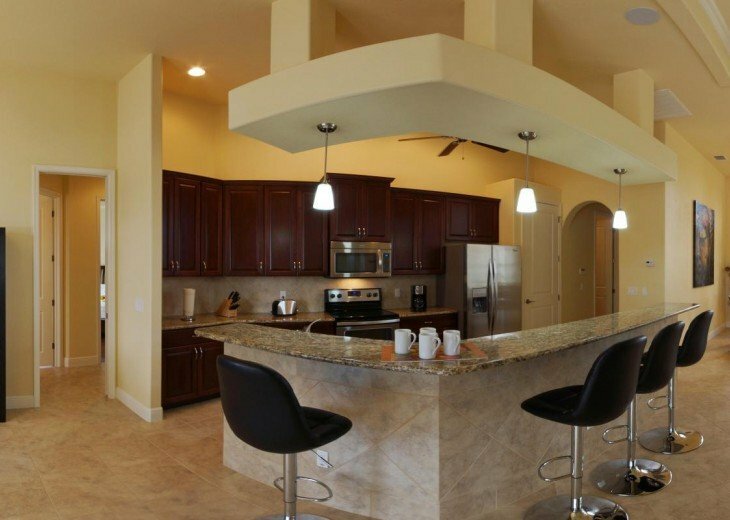 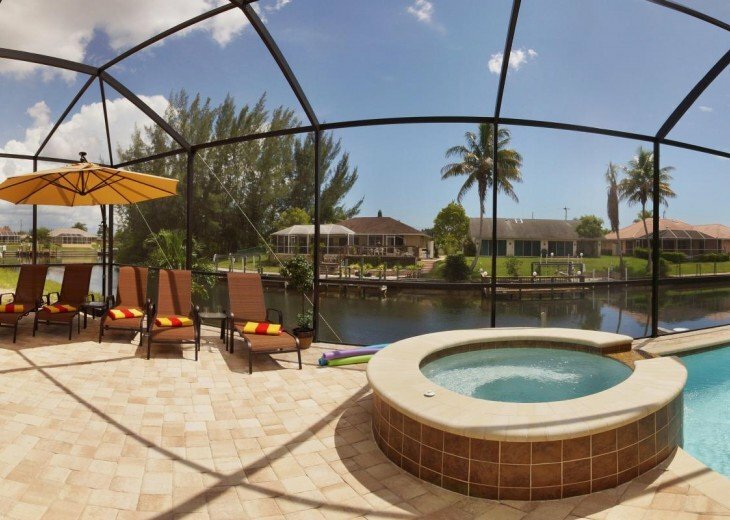 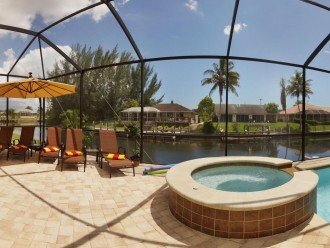 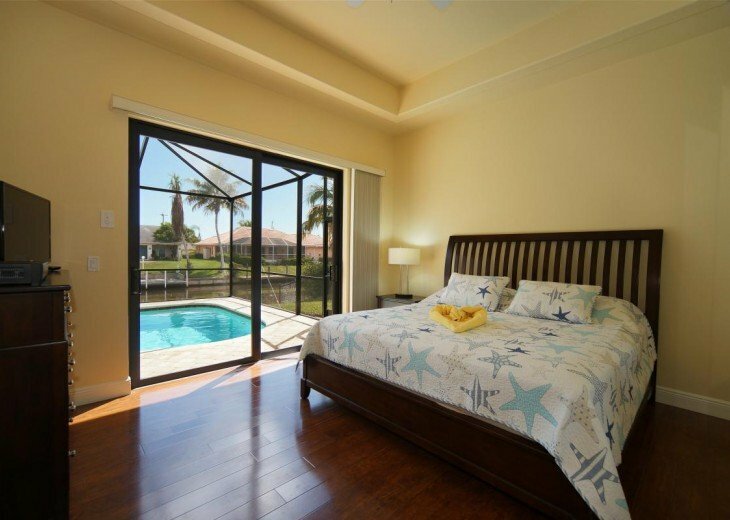 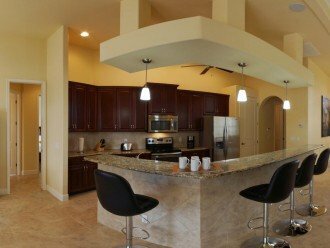 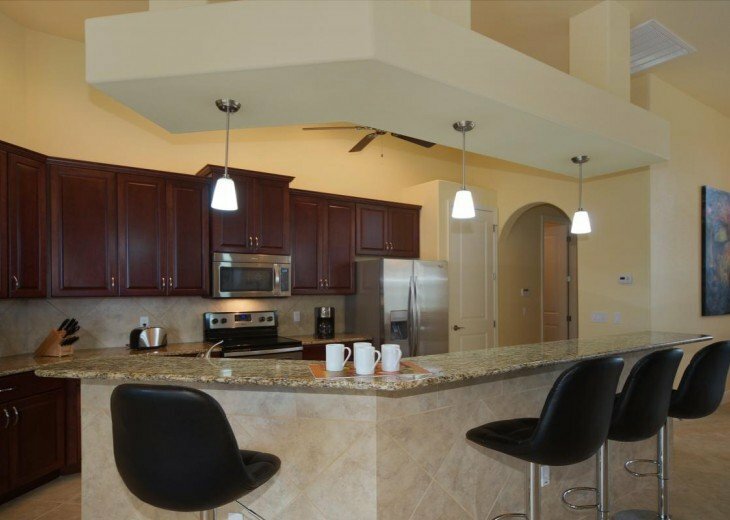 This dream home is located in Southwest Cape Coral, features over 2,100 SF of living area with garage, and was completed in July 2014. 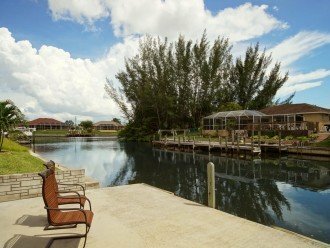 Stay in a little piece of paradise with your own private dock, where your stay turns into an unforgettable experience. 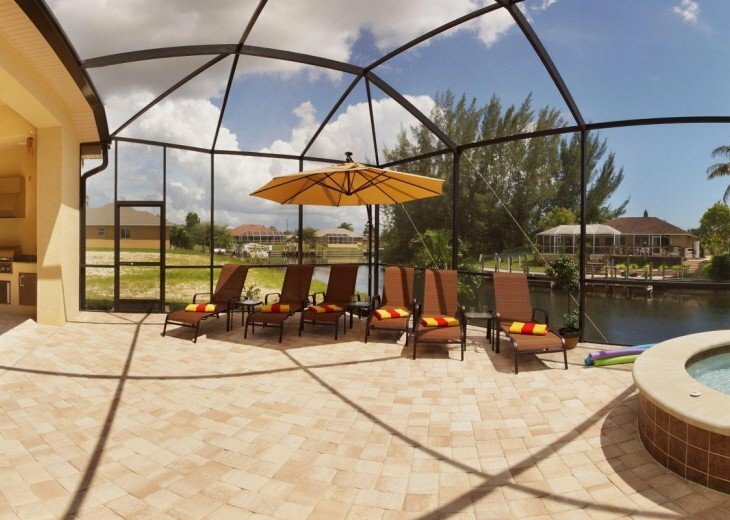 This is the perfect place to relax and get away from the daily grind. 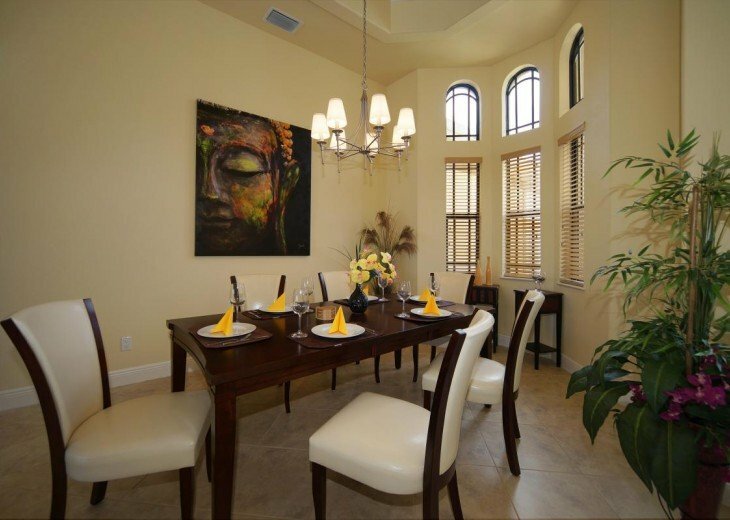 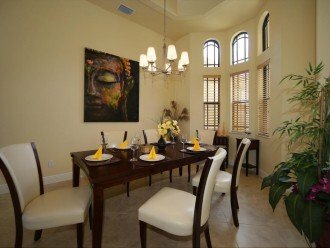 The home is particularly suitable for guests with allergies and those in wheelchairs. 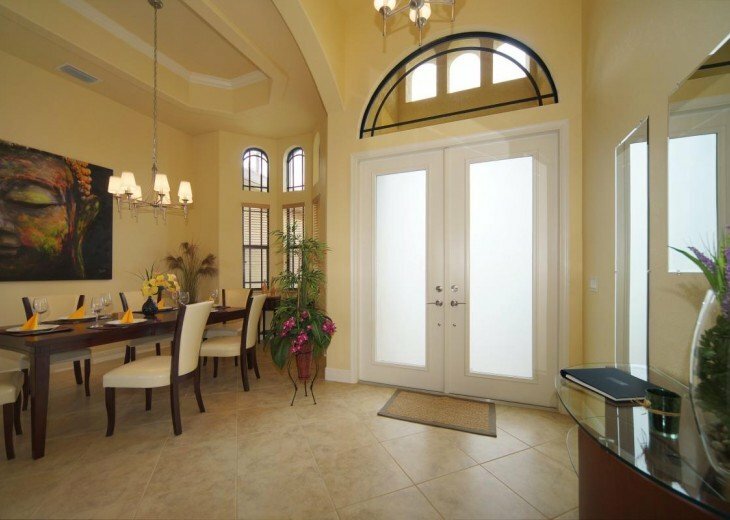 Every entryway and the master suite offer extra wide doors and ramps. 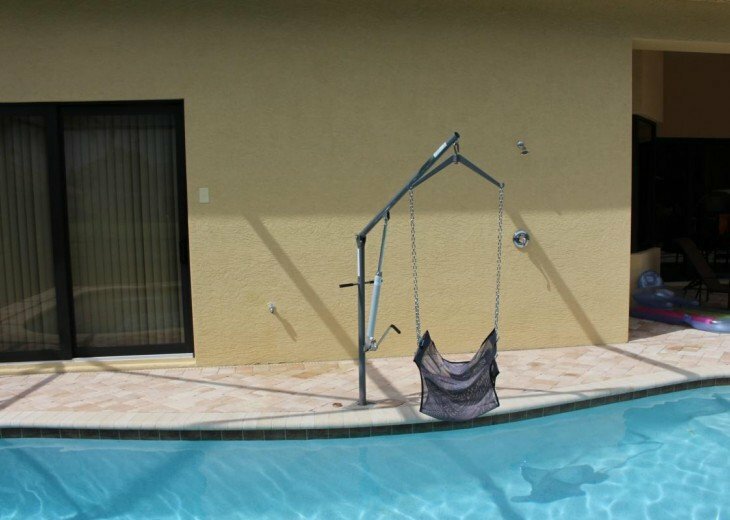 There’s also a pool lift. 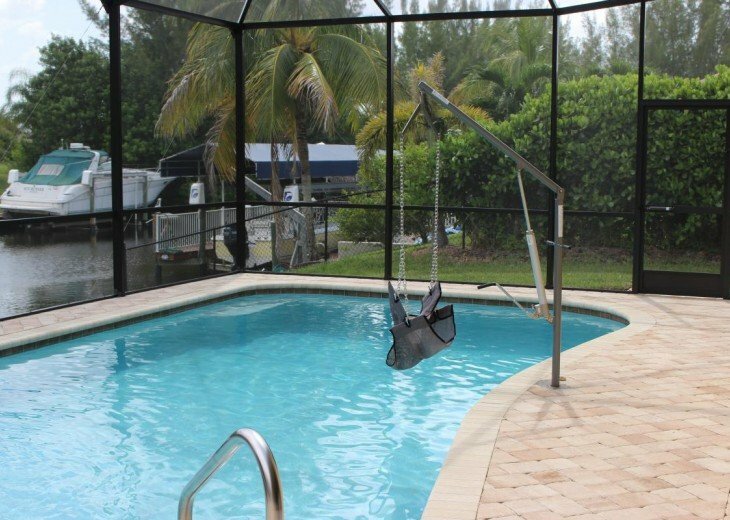 Guests will allergies will appreciate the heated chlorine-free saltwater pool and spa. 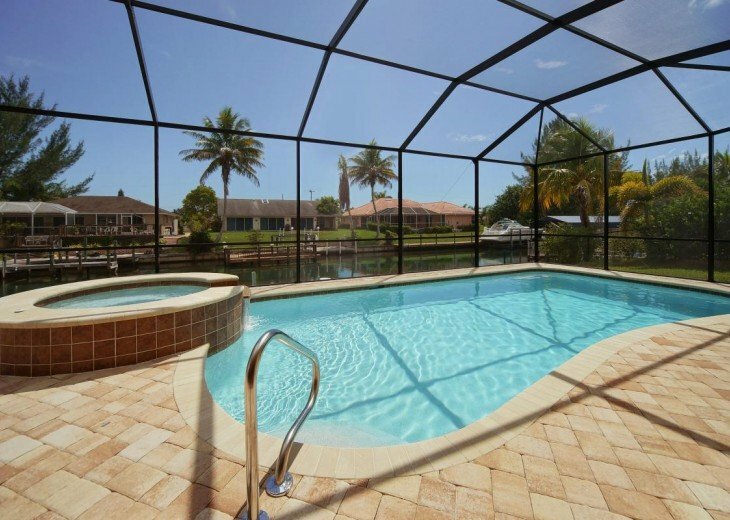 Take a look at the pictures below and start dreaming of your “majestic” vacation! 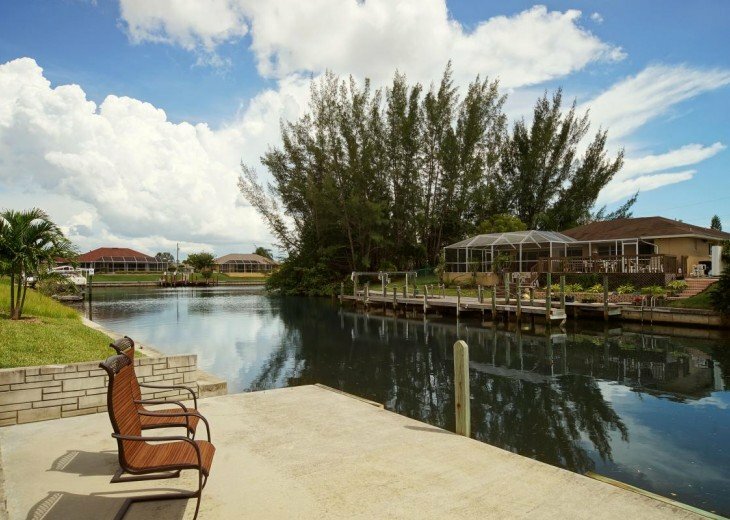 Go ahead and rent a boat that will be delivered right to your own dock. 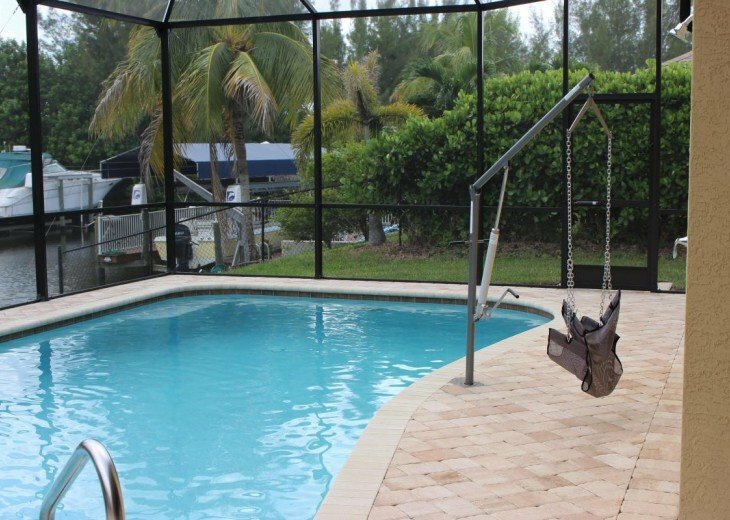 You do not have to navigate through the boat lock to reach the Gulf of Mexico from this location. 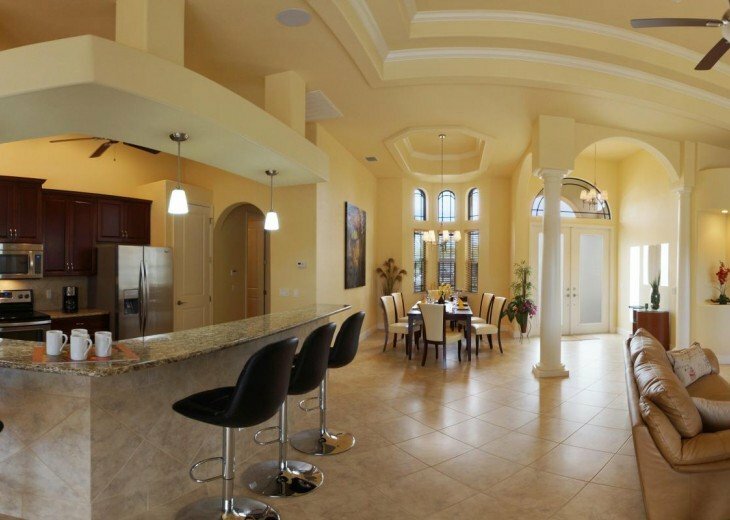 Villa Majestic is a home with great curb appeal. 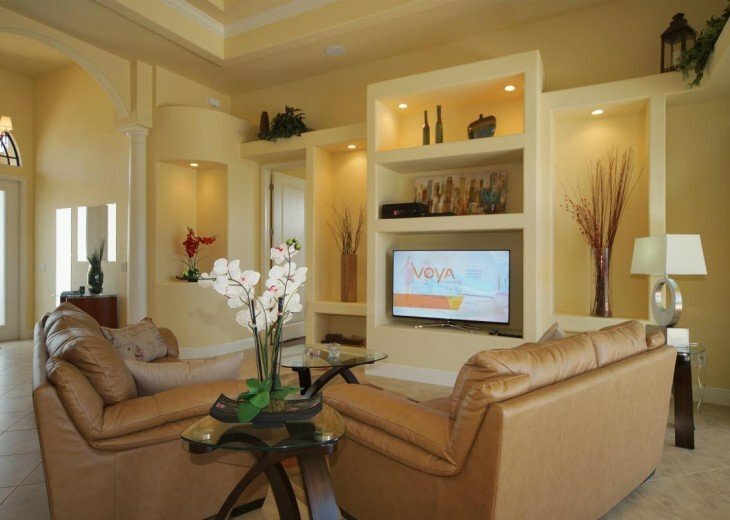 The spacious living room with Smart TV was designed with comfort in mind. 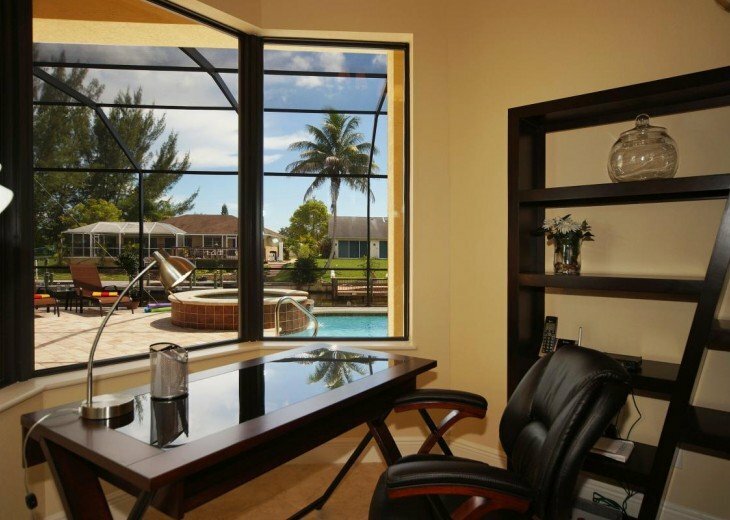 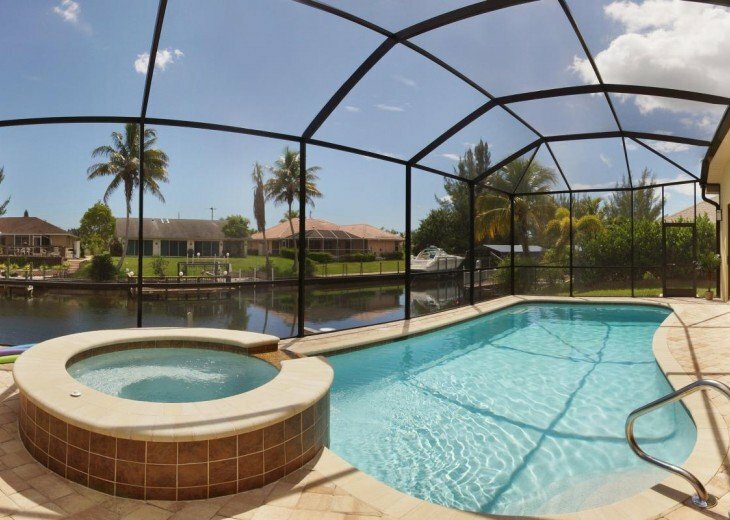 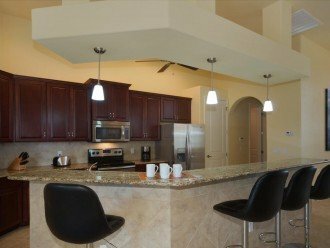 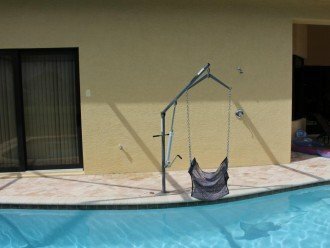 Other features include an open dining area, office nook overlooking the pool area with phone and Wi-Fi hook-up, and a large kitchen that comes fully equipped with everything you need – refrigerator, dishwasher, stove, microwave, coffee maker, toaster etc., plus dishes and silverware in adequate numbers. 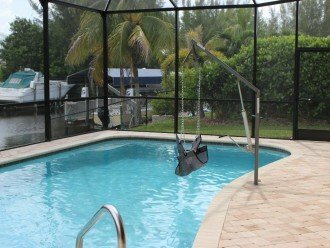 Linens and towels including beach towels are provided, as well as washer and dryer, iron and ironing board. 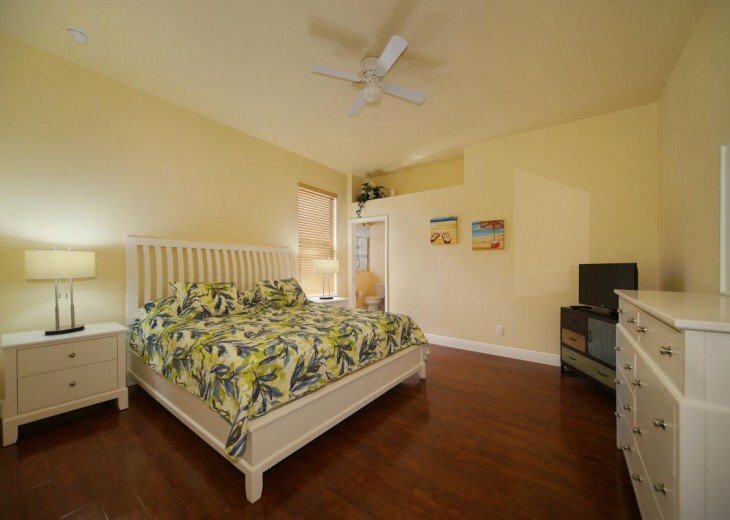 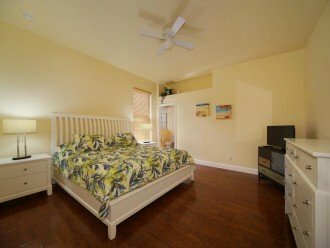 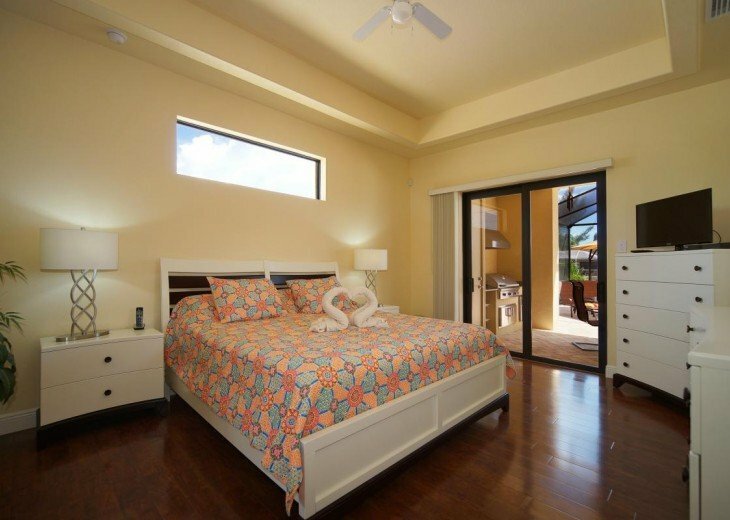 The gorgeous home features three bedrooms, each with a King size bed, large walk-in closet, flat screen TV and its own bathroom. 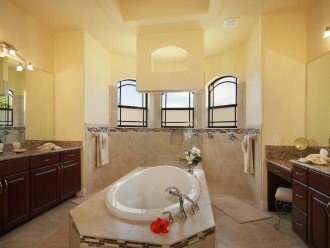 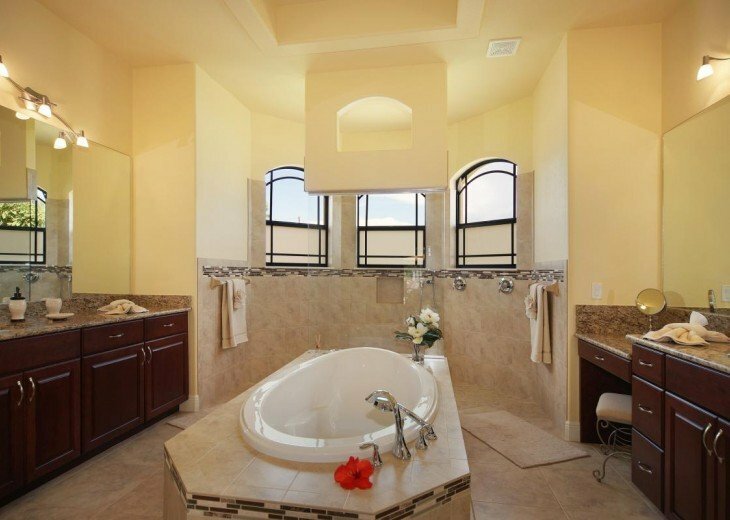 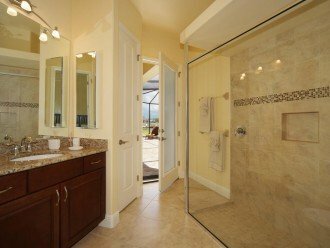 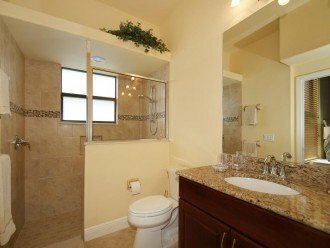 The master bath includes a walk-through shower with two showerheads (one with a hose), two sink areas, a center tub and a separate toilet. 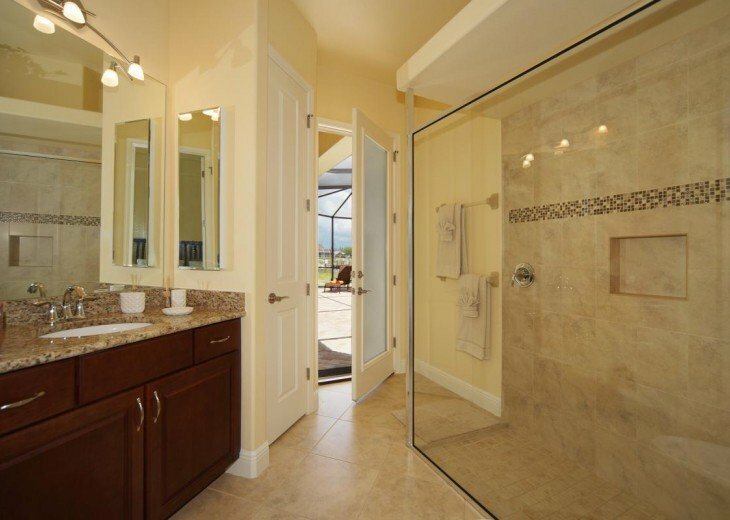 The other two bathrooms each offer a walk-in shower. 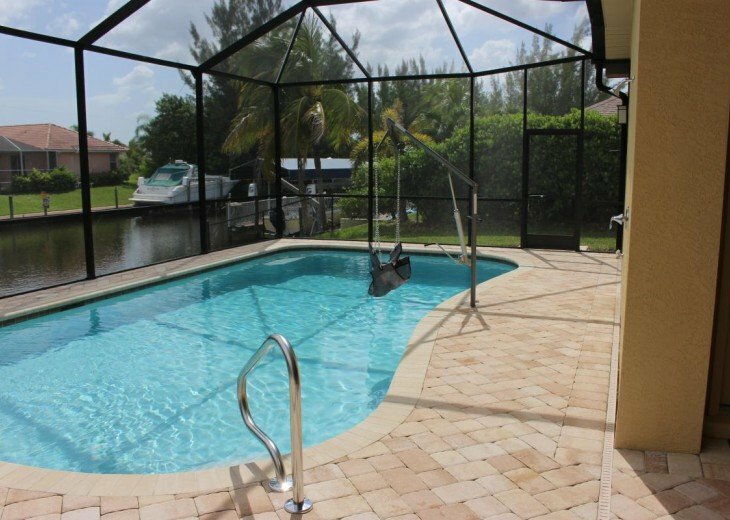 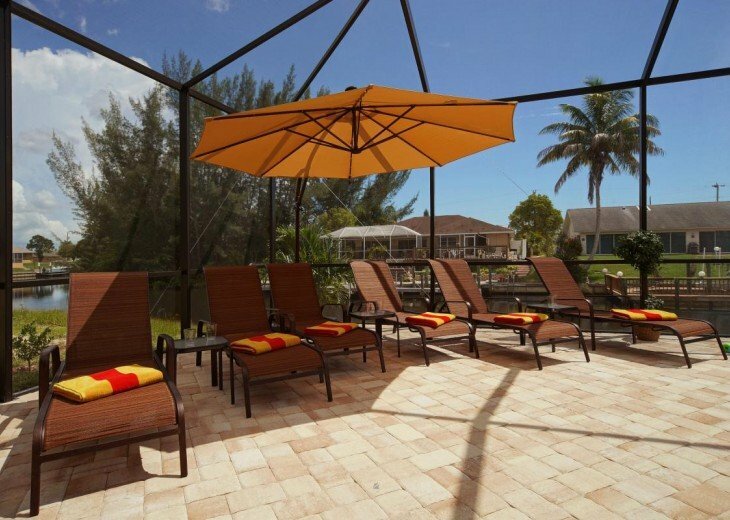 Spend the sunny vacation days on the beautiful, south facing pool area. 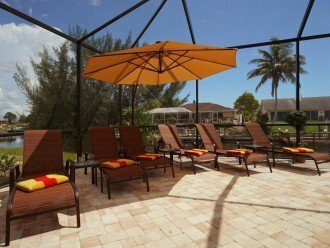 The sundeck with several lounge chairs and umbrella is just the spot for hours of relaxation. 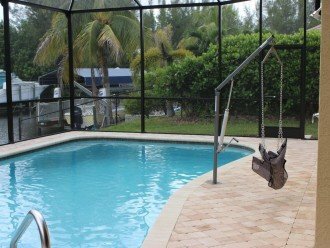 After a dip in the pool, the warm-and-cold shower on the patio is most convenient. 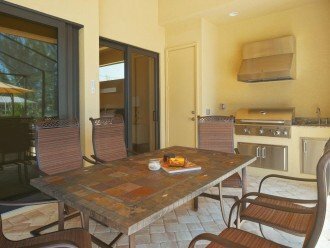 Those who enjoy a barbecue at night – and who doesn’t? 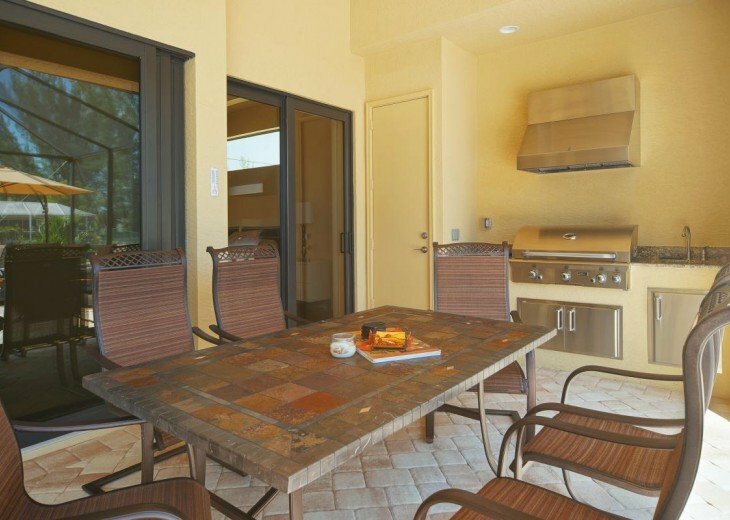 – will appreciate the built-in summer kitchen that comes with a large grill. 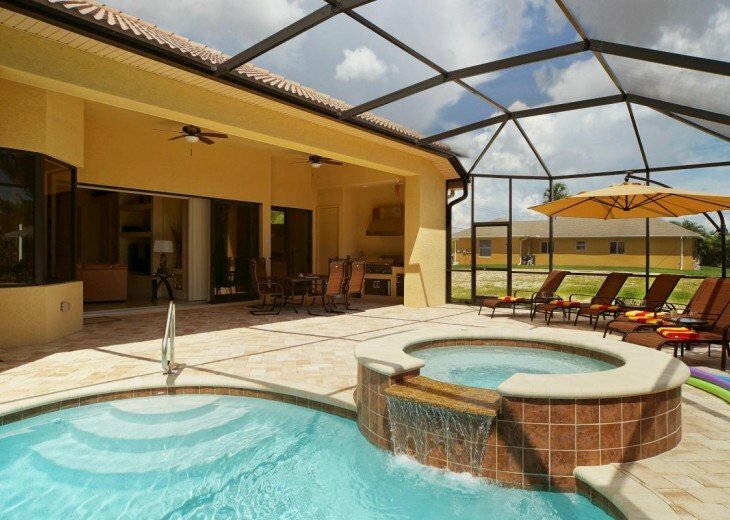 Villa Majestic is a fantastic modern vacation home – all that’s missing is you!